Together with various companies in the Netherlands, we have combined our specific skills to create The WasteBased Collection -a locally produced furniture collection. All products are carefully made by hand in the Netherlands. For over 17 years, NDF Special Light Products from Roosendaal have been innovative in the field of decorative lighting, focusing on creating quality products. St. Joris is a ceramic production company based in Beesel with over 90 years of experience and specialised in glazed bricks. They focus their attention on traditional craftmanship and creativity. Based at the NDSM shipyard in Amsterdam, Ultra Studio was founded in 2009 and pursues a theme of relevant design and uncomplicated solutions. Their creative direction has fueled this project. House of Hermeta Holland is a young design label originating from an almost 100 year old traditional family business. Hermeta develops aluminum interior pieces that are created by loving craftsmen. 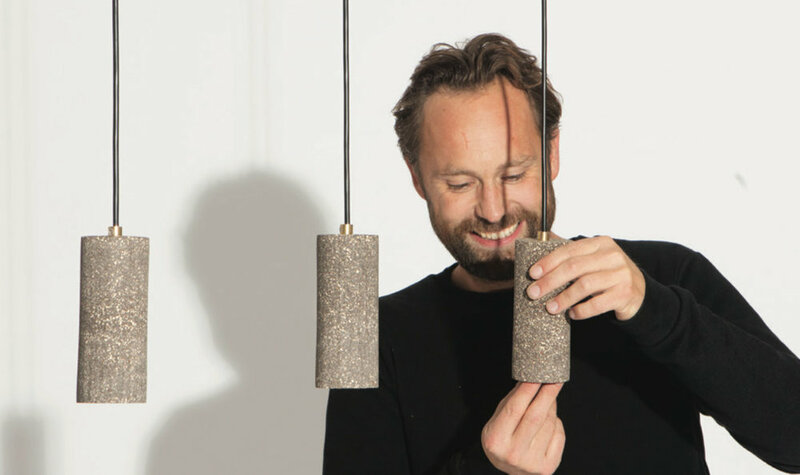 The WasteBased Collection was presented at the Dutch Design Week 2016. The collection was made once in order to show what waste can become. We decided not to take the furniture into production and to focus our work on bricks and brick slips since we believe there we can have the biggest impact.